How Can Your Organization Ensure Optimum Work Life Balance For Employees? 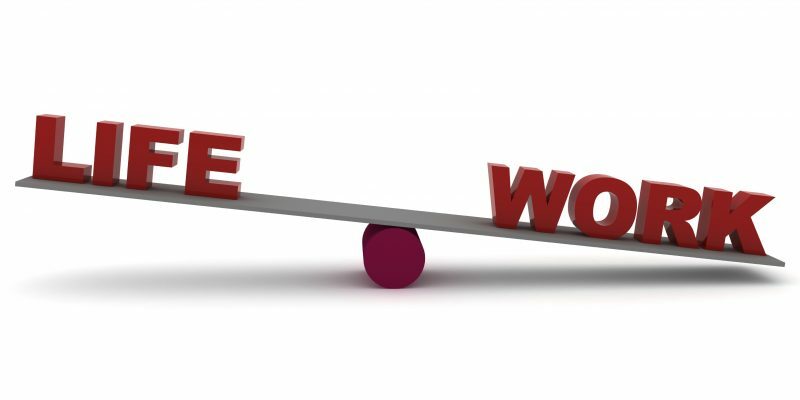 CII / Women Empowerment / How Can Your Organization Ensure Optimum Work Life Balance For Employees? Work life balance is an imperative for everyone today, irrespective of generations and gender . Companies have ensured flexibility at work with an effort to attract and retain talent . We will look at leave policies and flexi work policies, which bring in optimum work life balance. Leave policies are one of the biggest enablers for employees to mainta in a work life balance. More so in the life of a woman, who is still seen as the primary caregiver of a family . Organizations have gone great lengths to understand the needs of women at the workplace and provide them with the flexibility to take time off to attend to these demands . This section covers unique and innovative leave practices that are in vogue in the workplace today. Godrej’s sick leave policy is designed to enable employees to avail leave on a ‘need to’ basis when unwell, because, one cannot put a number to falling ill. This is entirely trust based. The unlimited sick leave policy was introduced in 2011. This has been much appreciated and the frequency of applications has in fact reduced. Prior to this period the average number of leaves utilised per annum was at an average of 9.2 days. Upon introduction of this policy, there has been a drop in the level of absence with the average number of sick leaves coming down to 8.3 days. With an increasing number of requests for time off for fertility treatment , Godrej has announced that with effect from April 1, 2016, fertility leave will be treated as sick leave to enable women to avail this leave without having to use their consolidated privilege leaves. Their maternity benefits policy over the last 5 years has offered six months’ maternity leave and an option to resume work with 6 months of part time work from home options. Most organizations support women at the time of maternity or immediately following the maternity. However, the responsibilities of a parent extends well beyond this. Acknowledging this dire necessity, ONGC has had a revolutionary policy of Child Care Leave, that is over and above any other form of leave in the organization (sick, casual, earned leave). Under this policy ,730 days of child care leave can be availed of by a woman in a block of 15 days, till her child reaches an age of 18. Traditionally, surrogacy and adoption have not been viewed in the same lens as maternity. In the recent past, however, more couples have been vocal about these alternate methods of starting a family. Therefore, organizations have also started looking at holistic parental policies. Schneider Electric supports holistic parenting through a 12-week paid leave for the primary care giver in case of surrogacy and adoption. Organizations are increasingly offering flexible work arrangements with a view to increase diversity and build innovation. Interesting flexi work examples include extended work from home, sabbatical leave, part time work arrangements. One must be cognizant that flexible work arrangements in all organizations are subject to nature of the business, nature of role of the individual for it to become a reality. Work from anywhere at Beroe Inc.
Beroe Inc, a procurement intelligence firm works with over 95% millennials. To keep pace with the expectations, career and life aspirations of this generation, they have introduced a policy that allows employees beyond a certain level and tenure in the organization to practically work from anywhere in the world. Certain conditions such as physical availability on a pre- determined frequency for all hands meetings, presence for important organizational meetings etc. are mandated. When this policy was rolled out, the organization expected most of the women folk to opt for this benefit. To their surprise more than 80% ofthose who availed ofthe benefit were men. In a way, Beroe not just contributed to flexibility, but also to holistic parenting. Jagdish Unni, Vice President at Beroe utilized this policy to move back to his hometown. Through this move, he could establish a support system for childcare from his family, which in turn enabled his wife to pursue her business interest in interior designing. Flexi work post maternity is one of the greatest enablers for women to remain in the workforce. Nupur Gurbaxani, AVP at Godrej Consumer Products could enjoy the most magical days of motherhood without any distractions. Thanks to the 6-month leave, she could focus completely on not only the child’s well- being, but also convalescing after the delivery herself. When she decided to resume work, policies like flexitime and work from home made the challenge of balancing career with motherhood far more manageable. Interviews with several organizations have repeatedly revealed that benefits such as flexi work stem from the cultural ethos of the organization. For instance, at Amway, flexi work is a matter of cooperative and consultative arrangement with employees. Additionally, they have a flexibility of timings where there is a choice of two shift timings at regional offices, while in the corporate office there is a flexibility of 4 shift timings and the manufacturing plant provides for 3 shifts flexi timings. For women who are pregnant, it is the little things that make a difference. Be it reserved car park for women, pick up and drop services in the last trimester, or a rest area, these little things go a long way in easing the balancing act between a woman’s personal and professional life. Beroe Inc offers company sponsored session in pre-natal counselling for women employees who are pregnant, up to INR 3000 reimbursable on gynaecology consultation for women employees and return cab facility for women employees in the last 2 weeks of work prior to maternity leave. Amway offers a host of benefits too, including travel support and stork parking. Travel expenses by cabs for pregnant women are reimbursed and female employees during any stage of pregnancy have reserved parking spots near the elevator for convenience. These steps have supported retention of woman during and post the maternity phase in these companies.